I was on a string there of getting my blog posts out on time or even early. My hat’s off to those folks who blog daily, or some practically hourly. I’ve never been a writer who can simply sit down and start filling a page. My posts (at least the ones worth reading) usually come to me while I am out and about. This month’s post has been a bit slow to come to me. I had started a post on “technology and fair chase” questions… but figured I’d offend half of the readers and upset the other half… so I decided to simply say “Happy Thanksgiving!” to all of you and share this list of highlights from our past year. Keep in mind there is more to our life than quail… we do all we can for quail, but quail is not the only species in need of our support. Quail Recovery Initiative – VDGIF completed the 9th year of the Quail Recovery Initiative (www.dgif.virginia.gov/quail) as of June 30, 2018. During this time period, the private lands wildlife biologists made a total of 4,285 site visits and wrote 1,980 management plans. Over the last fiscal year, the five private lands wildlife biologists continued to do great work, making 625 landowner site visits and 310 new contacts, writing 270 management plans, and working with landowners who own over 47,700 acres. 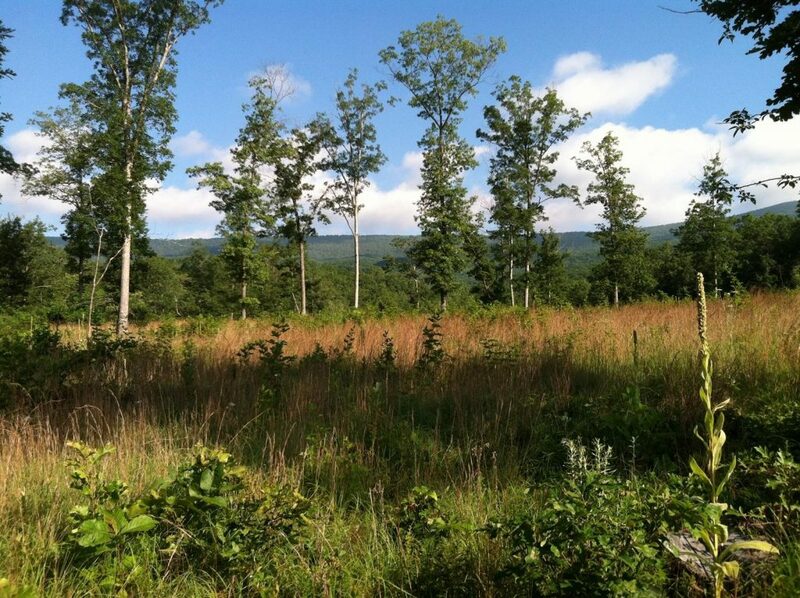 They helped establish or maintain approximately 4,344 acres of early-succession habitat. Approximately 1,395 acres of this total was via the forestry Best Management Practices (BMPs) in partnership with Virginia Department of Forestry. In addition, the Quail Management Assistance Program (QMAP) continued to grow with 445 landowners now enrolled owning over 105,609 acres with 14% in some form of quail management. Additionally, six of our team members participated in the 24th annual National Bobwhite Technical Committee (NBTC) meeting in Albany Georgia. Staff from VDGIF continue to serve as officers and members of NBTC. Virginia is one of 21 states participating in the National Bobwhite Conservation Initiative’s (NBCI) Model Quail Focal Area Monitoring Program, marking our sixth year of participation. 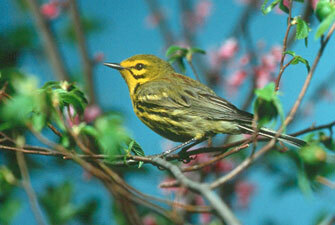 Approximately 997 acres of habitat management were completed on the CIP Focal Area. In early August, 2017, VDGIF, staff along with NBCI and National Park Service staff, held a workshop at Manassas National Battlefield Park (NBP) to instigate the formation of Virginia’s second NBCI CIP Focal Area. Manassas NBP is the new focal area. Staff also conducted several successful field days and workshops that attracted over 250 participants. Our staff continues to work on a book entitled “The Northern Bobwhite Quail of the Mid-Atlantic States.” Staff also serve on the Virginia Prescribed Fire Council and the Forest Stewardship Committee, and also maintain their own Facebook page (www.facebook.com/VirginiaBobwhiteBulletin). 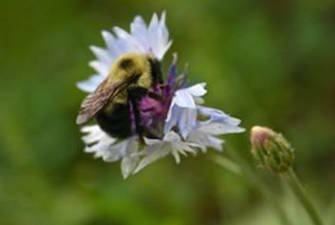 Fish Hatchery Pollinator Plantings – The small game team, working in conjunction with Outdoor Education and Fisheries staff, completed two pollinator habitat plantings—one at Vic Thomas and one at Montebello fish hatcheries. These projects provide good habitat educational opportunities and have been well received by the public. Southeastern Fox Squirrel Research Project – The small game team—working in conjunction with staff from Virginia Tech, The Nature Conservancy, and Ft. Pickett Army National Guard Maneuver Training Center—developed and obtained outside funding for a research project on southeastern fox squirrels (Sciurus niger niger). The project will take place on The Nature Conservancy’s Piney Grove Complex and on Ft. Pickett. The project will be the first of its kind to examine the life history of this relatively rare subspecies of fox squirrel in Virginia. 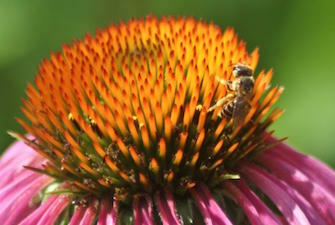 The research may eventually contribute to the species population recovery. 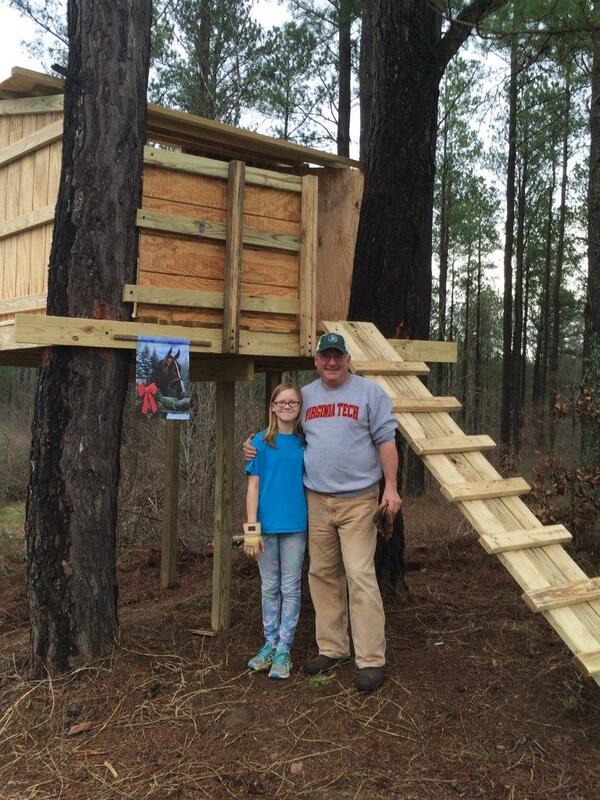 During October, our staff, partner staff, and technicians from CMI successfully hung 135 boxes (75 at Ft. Pickett and 60 at Piney Grove), and 15 more will be hung after logging at Big Woods Wildlife Management Area (WMA). The project is underway, being fully funded in year one by Ft. Pickett. Future funding is not secure. Numerous sightings have occurred at Piney Grove. Fox squirrels have also been confirmed (one by road kill) within a few miles of Ft. Pickett. Presentation on Quail Program to General Assembly Sportsman’s Caucus – The small game project leader was asked to give a presentation to the General Assembly Sportsman’s Caucus about the progress and status of the Virginia Quail Recovery Initiative. The program was attended by about 20 General Assembly members or staff. Governor Northam and Secretary of Natural Resources Strickler also attended. Virginia Tech Wildlife Graduate Student Field Day – VDGIF and Ft. Pickett staff, in conjunction with Virginia Tech professors, held a field day/habitat training event for Virginia Tech wildlife graduate students at Ft. Pickett Military Base. Topics included timber management, prescribed fire, habitat plantings, and use of herbicides. Workshops in support of the NRCS Working Lands for Wildlife “Cattle and Quail Initiative” – Staff from the private lands team, along with personnel from the NRCS and Virginia Cooperative Extension hosted a series of four workshops designed to educate and promote the NRCS Working Lands for Wildlife Cattle and Quail Initiative, also known as the BIG project, or Bobwhites in Grasslands. Workshops were held in Madison, Charlotte, Wythe, and Augusta counties. 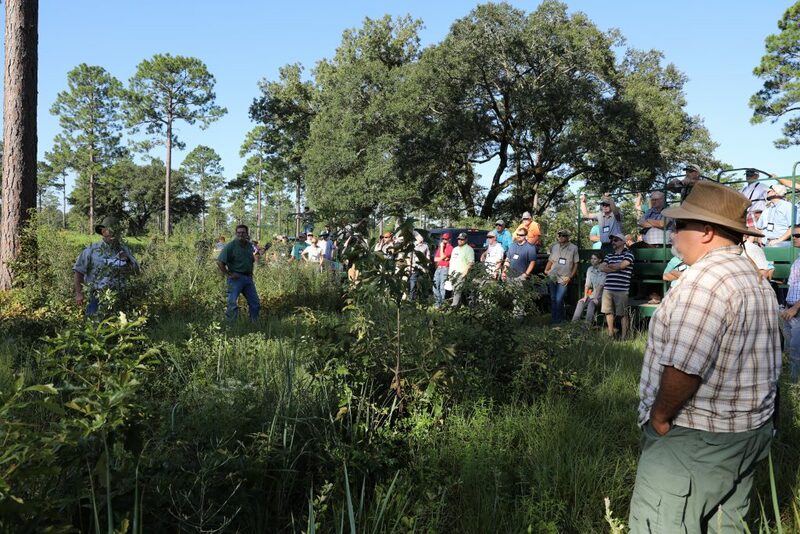 Each event had a morning session for professionals and an evening tour for private landowners. 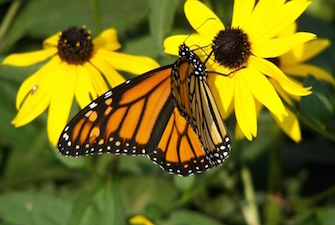 The workshops featured national experts in combining native grasslands, cattle, and wildlife. Quail Management Workshop – A quail management workshop was held in Purdy, Virginia, in conjunction with Virginia Dept. of Forestry and Cooperative Extension. More than 65 landowners and professionals attended. The workshop featured the latest information in quail management science from Tall Timbers Research Station and included a field tour of a well-managed private property in the area. Virginia Quail Council 9th meeting – On October 2, 2018, we conducted the ninth meeting of the Virginia Quail Council at Wakefield 4-H Center. Approximately 35 VDGIF and partner staff attended, along with representatives from the National Wild Turkey Federation, Ruffed Grouse Society, US Fish & Wildlife Service, and other entities. The meeting was headlined by an opening presentation from NBCI Director Don McKenzie. Regional staff gave updates on the ongoing work and partnerships at Big Woods/Piney Grove WMA, and Jay Howell gave a comprehensive review of the NBCI Coordinated Implementation Program. The meeting was followed by a field tour of the Big Woods State Forest, Big Woods WMA, and Piney Grove Preserve. “Learn and Burn” Workshop – A workshop for aspiring prescribed fire practitioners was held in conjunction with Virginia Cooperative Extension, Virginia Tech, Virginia Prescribed Fire Council, Virginia Department of Forestry, The Nature Conservancy, and other partners at Wakefield Airfield 4-H Center. The morning indoor session was followed by a live prescribed burn in the afternoon, allowing participants to gain hands on learning. Approximately 30 attended. 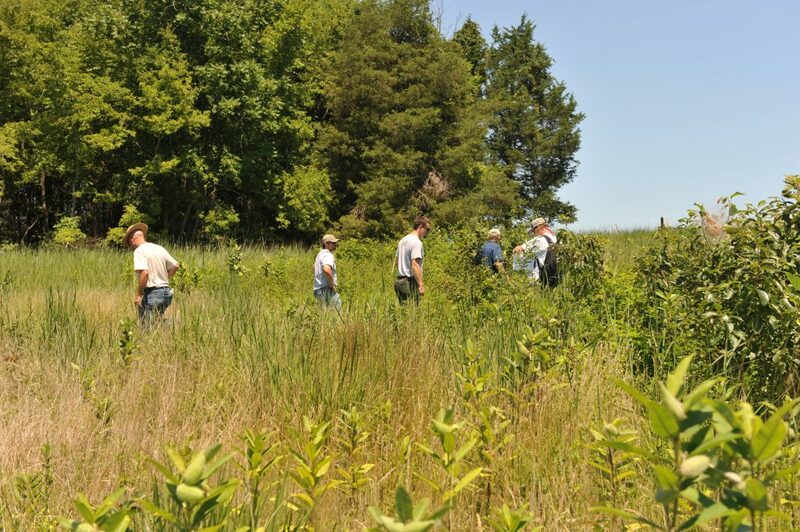 Private Lands Wildlife Biologists Species Diversity Training – A special presentation and field day was held for the Private Lands Wildlife Biologists providing them with training from three of VDGIF’s species specialists. Presentations were made by our herpetologist, aquatics biologist, and small mammal biologist, followed by a field trip to discuss habitats for multiple species. Provision of Latest Quail Management Information to Staff – Multiple copies of the new Tall Timbers Research Station’s Quail Management Handbook were obtained for VDGIF staff at no cost. The small game project staff also prepared a detailed summary of the findings from this book and provided them to all biological staff. Pollinator Planting Workshop for King and Queen Fish Hatchery Staff – The small game team, in conjunction with outdoor education staff, conducted a pollinator planting workshop for the staff of King and Queen Fish Hatchery. 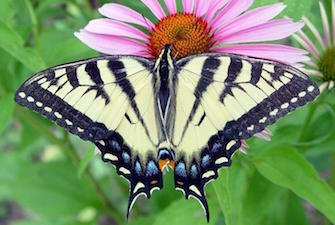 They will be the next to incorporate pollinator plantings on VDGIF fish hatchery lands. 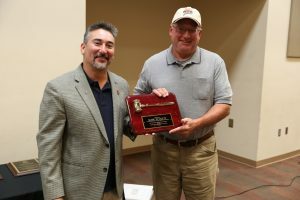 Marc Puckett, right, receives award “in recognition of outstanding service and leadership as executive committee member and chairman of the National Bobwhite Technical Committee 2010-2016.” At left is Robert Perez of Texas, the new NBTC chair. NBTC’s Past-Chair Award. The award was given for exceptional service and leadership during this person’s tenure as Chair and on the NBTC Executive Committee from 2010-2016. The presentation was made during the awards banquet of the recent NBTC annual meeting in Albany, Georgia. The Soil and Water Conservation Society’s June Sekoll Media Award – Six members of the private lands wildlife habitat team, representing VDGIF and Natural Resources Conservation Service, were presented the June Sekoll Media Award by Virginia’s Soil and Water Conservation Society (SWCS) for “successfully using various media sources in a united effort to promote the new Working Lands for Wildlife Program for Virginia’s Bobwhite Quail in Working Grasslands Initiative.” The award was presented at the annual SWCS meeting in October, 2017. Dozens of biologists, including the Virginia quail team, toured bobwhite habitat around Albany, GA during the annual meeting of the National Bobwhite Technical Committee recently. Our Virginia quail team spent the first week of August in Albany, Georgia, attending the National Bobwhite Technical Committee meeting (Thanks to the Georgia DNR and a local plantation as well as all sponsors for hosting a great meeting and field tour). It was hot in Virginia but hotter still down there. The quail management we saw was also hot…as in some of the most intensive (or “extensive” as they say – will explain later) quail management in the world – described by one of the world’s leading quail biologists as “The N.A.S.A. of the quail world.” And that is how they manage on the best of the quail plantations – shooting for the moon. They have the highest quail densities found on earth. Some would say artificially high…and I would agree. But it is heartening to know that almost 1/5th the way through the 21st century bobwhites can still be produced in these numbers (densities as high as 3 or more quail per acre). These privately owned plantations are large – ranging from a couple thousand acres to over 20,000, and over 300,000 acres of them are within an hour of Albany. There’s another 300,000 north of Tallahassee, Florida, and still more in Alabama. The old adage “more begets more” is proven here. For those folks who believe there may be some unknown combination of environmental factors that are causing the quail decline (pesticides, disease, climate change, etc.) this area is not immune to those things. To the north, south, east and west of the plantation country is some of the most intensive center pivot agriculture in the world, rivaling anything found in the mid-west. And if climate change were the driving factor in quail decline…being further south they’d know it before us. There may indeed be environmental factors affecting many wildlife species, including quail…but the basic ingredients for baking a quail cake have not changed. While some of what the plantations do may be the moonshot, most of what they do is not rocket science. The building blocks of their success are: large contiguous acres, intensive use of prescribed fire, systematic incorporation of disking, good distribution of all cover types, wise use of herbicides, well managed quail harvest, and sound scientific research as a feedback loop. And let me say that you can have plenty of quail by doing all these things and stopping right there. I think these plantations could easily reach 10 – 15 covey hunting days (most Virginians would be happy with 2 to 6 covey days) by using the aforementioned techniques alone. But to get to 20, 30, even 35 or 40 covey days…that is where shooting for the moon begins. Their research program is an example…they have had radio-collared quail as part of the Albany Area Quail Project every year since 1992. They have had over 30,000 quail radio-collared (including those from Tall Timbers Research Station) during that 26-year period! While some people still scoff at the need to land people on the moon, the technological developments that the moon landing precipitated has benefitted every single one of us in our lifetime (paraphrased from their presentation at the meeting). 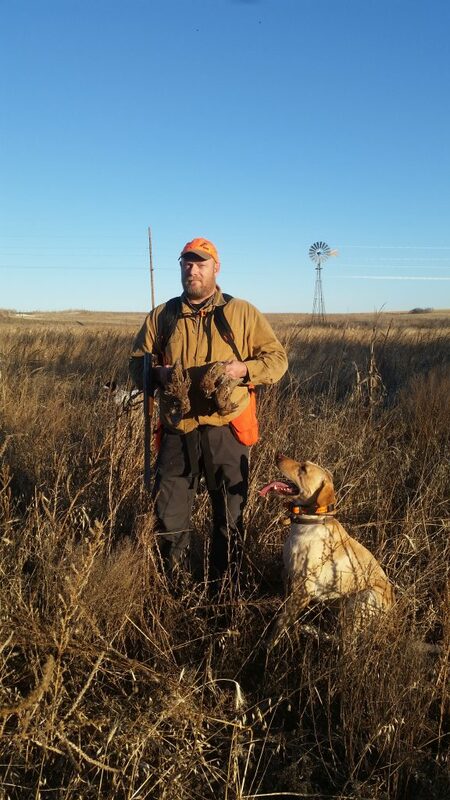 Now…let’s talk about “extensive” quail management. I had a tough time at first understanding this…but then realized it just boils down to thinking outside the box, not being afraid to challenge some norms, and being willing to go above and beyond in management. There is some controversy in the quail ranks over some of what the plantations do to achieve their success. And it is in this extensive management where that develops. I consider three major things being applied there to be extensive in nature: 1) supplemental feeding, 2) scientific, year-around, legal mammalian predator control and 3) extra incorporation of brood fields (ragweed galore) to include occasional deep plowing, liming and fertilizing where needed. Before I elaborate, I’d like to say a few words on behalf of the owners and managers of the plantations. It is easy to sit outside that circle and accuse them of being wealthy elitists having nothing better to do with their money. But they could do anything with their money they wanted to do…and they choose to put untold millions into quail recovery and large scale land conservation. They should be applauded for that. 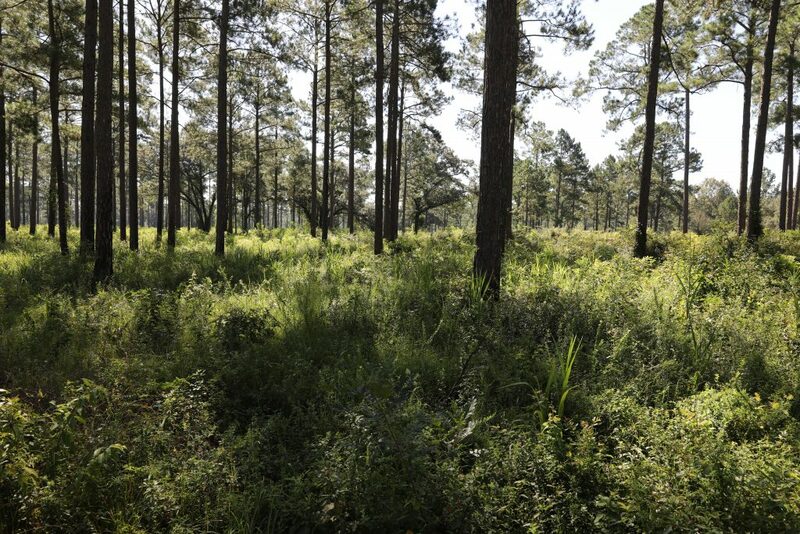 As for the managers…having tried myself just to manage my 40 acres…and having seen how hard our staff works to try to stay ahead of the game on their Wildlife Management Areas…I do not think a plantation manager or their staff know what a 40-hour work week is. I suspect it takes 50 or 60 hours a week, almost year around to keep these plantations in shape. And just try to imagine the pressure to produce results. Back to the extensive techniques – supplemental feeding. On one plantation we visited there were 115 miles of feed lines evenly distributed through the grounds. Yes…miles. They have perfected the feeding system. In winter they use corn and milo, in summer milo alone. The feed is spread by tractor and feed wagon every two weeks, and they have it figured down to the number of seeds per square foot necessary to last for that time period. 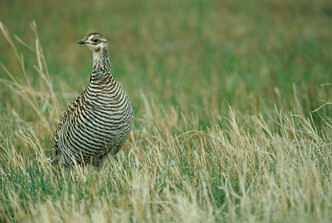 Their research has clearly shown within their ecosystem, supplemental feeding increases quail productivity. Research also demonstrated that contrary to intuition, supplemental feeding did not make finding quail easier, in fact, sometimes it made it harder. The way it is done it is not baiting. I am not a fan of it personally…but for them it is legal, affordable, and it produces more quail. Predator control also continues to raise some hackles, but for the plantations it is legal, scientifically done, and shown to be effective within their ecosystem. 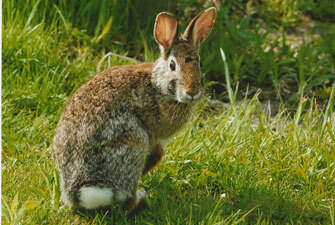 They focus on mid-sized mammalian predators (raccoons, opossums, skunks, etc.). 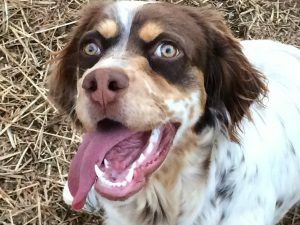 Their approach is beyond the means of most, but in Virginia trapping is a legal, honorable and protected form of outdoor recreation. If landowners here wish to employ trapping as a legal form of predator control, I feel it is their prerogative. The last one is the extensive incorporation of brood fields. As much as 30% of their total land area (heavily thinned pine ecosystem) is made up of well distributed 2 – 5 acre fields. 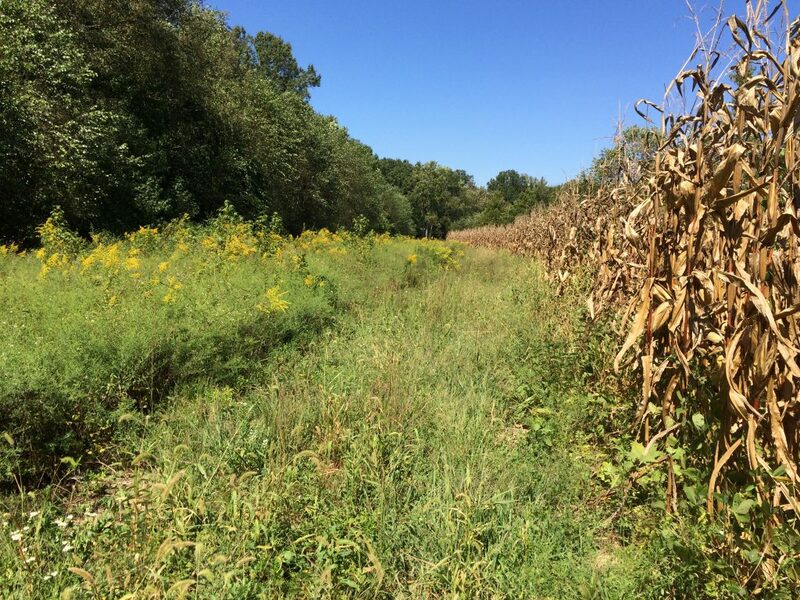 The fields are managed specifically for ragweed. They soil test, add amendments accordingly, and lime where needed. They use fall disking, disking each field every year. And about 1/3 of each field is deep plowed with a bottom plow annually. They have shown that this deep plowing is sometimes necessary to break up the hardpan that develops after years of disking. It is not so much that these methods are new. What makes them “extensive” is the systematic way they are incorporated into the plantations. All these techniques are discussed in detail in the Tall Timbers Bobwhite Quail Management Handbook which can be purchased via their website. So where does that leave the average owner of 100 or 200 acres in Virginia? I would say first make sure you have maximized the habitat basics before thinking about adding anything more. Within a pine timber system, if it is practical for you, I’d suggest seriously considering adding in more openings next time you thin your timber. It will take time before they can be disked, and will take a long time before they can be plowed, but quail management is a long term endeavor. 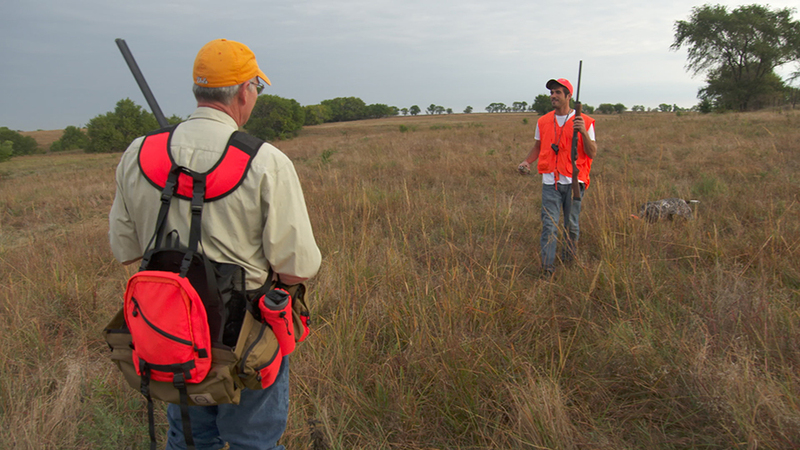 Have your habitat evaluated by a quail ecologist. If all agree that the habitat is excellent and should be supporting more quail than are being found, you might consider legal trapping, especially late in the season to see if predators could be suppressing your quail population. And I think supplemental feeding will rarely be of value for most Virginians with one exception, during periods of prolonged heavy snow cover. A landowner might consider providing spread feed (not concentrated feeders) in areas where coveys are known to exist in good cover (when legal – check the feeding laws in our DGIF Regulations Digest or on our website www.dgif.virginia.gov ). A May 3, 2017 prescribed burn on a WMA in Virginia. Goal was to reduce rapidly encroaching sweet gum and red maple understory, a task which cannot be accomplished with winter burning alone. I am sure many of us who practice prescribed fire have started to hear this more often. And it is partially our fault…as we have not done enough outreach and education about why we sometimes burn in late spring. I have also had it expressed to me that some believe this “growing season” burning occurs primarily due to fear of lost money. Meaning that if an agency has set a budget for burning, and winter weather delays it, if they don’t burn in late spring, they’ll lose the funds. I’d like to first say that I have seen prescribed fire professionalism increase year-after-year-after-year for over two decades. 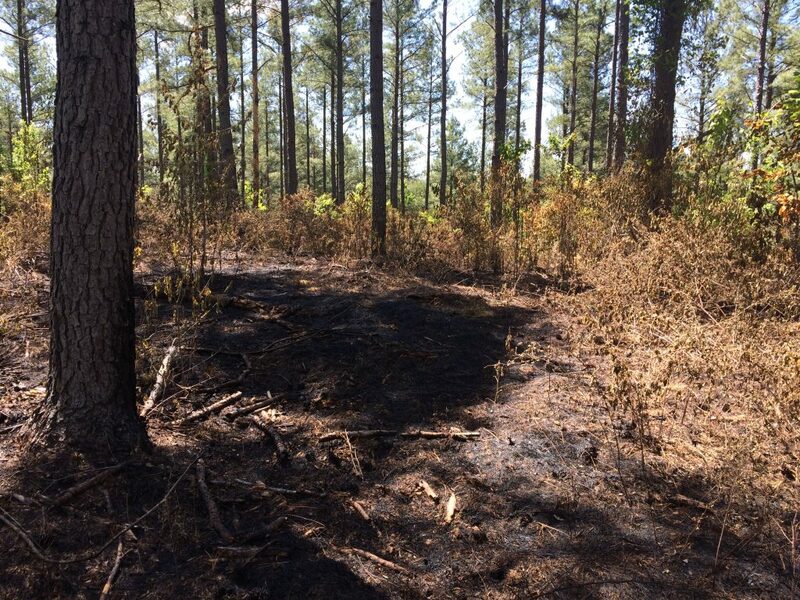 With increasing public scrutiny, and more and more human encroachment surrounding public lands, the need to be completely professional in the use of prescribed fire has increased. Everyone I know in the profession of wildlife management and forestry use prescribed fire for all the right reasons. With regards to the funds…it is true that in many cases they can’t be carried over from one fiscal year to another, but, in most cases they can be redirected to other appropriate uses during that same fiscal year. The money does not evaporate if not used. From an economic standpoint, nothing in our wildlife management tool box can treat more acres faster and at a lower cost than prescribed fire. I once helped bush-hog some heavily overgrown fields on one of our Wildlife Management Areas. It took two of us working all day for three days running two 75 horsepower tractors to complete 40 acres of mowing. That same acreage could have been safely burned in 3 to 4 hours. But we had fallen behind on burning…and the vegetation had reached a stage where fire would no longer set it back to the desired condition. And this is one key reason growing season fire is sometimes applied. It can be the only time during which fire will have enough impact to set back plant succession to the desired condition to favor, quail, grouse, woodcock, turkey and many songbirds and pollinating insects. Let me explain a couple things. First – it is good to mix up the timing of burning. A good practitioner would never want to burn a particular tract only in the winter, or only in the late spring, etc. Fire practitioners often use winter fire to reduce heavy fuel loads after a thinning operation. Winter fire can also top kill some young pine and hard wood competition, help scarify native plant seeds to increase germination rates, and remove duff making foraging easier for some wildlife species. But if managing for quail, grouse or turkey is your goal, some growing season fire is going to have to be applied. And sometimes that may be later in the season…into May. This may seem counterintuitive, but let’s stop and think a minute. Suppose we can’t burn a timbered tract (either thinned pines or hardwoods) in late winter because it stays wet and cold. It stays wet into spring, and then we finally get some good burning weather in May. We have choices. We can delay and perhaps try again in fall. Or we can delay a full year, hoping for good conditions in early spring, or we can burn it now…in May and risk losing a few nests – though studies show percentages of lost nests are low (Kilburg et al. 2104). Given that most entities using fire have limited budgets, staffs and time, and given that we cannot predict the weather in two weeks, much less months…many good managers would choose to burn in May. If we don’t burn in May, and then we can’t burn the following year…for all practical purposes that block of habitat is going to be “lost.” Meaning we have no real way of managing it now until it is clear-cut, replanted and reaches thinning age again in 20 to 25 years. What we have done is traded a few nests this year for potentially far more nests in subsequent years if we had been able to stay ahead on the management of the unit. It is also funny as humans we tend to use rationalization when it benefits us. How often do we make decisions based on short-term gain that could lead to long-term loss…debt comes to mind…go ahead and buy that boat and worry about paying for it later. Right? You only live once. But rarely do we use the counter-equation – “Short-term loss for a long-term gain.” Such as “I don’t really need a 64” flat screen TV to watch the Superbowl…let’s save that money for a trip this summer.” In the case of growing season fire, we make a very well thought out decision based on short-term loss traded for long-term gain. I think if you asked most of the tax-paying public…they’d appreciate our use of that view. I am not sure why when it comes to prescribed fire they don’t seem to. I stated all the above as a seasoned professional, and I know these things to be true after 26 years in this profession reading about fire, practicing fire and observing the results of fires on a variety of landscapes. My colleagues and I will continue to make decisions about the use of fire based on science, knowledge and practical experience with wildlife’s and the public’s best long-term interests at heart. Kilburg, E., C. Moorman, C. Deperno, D. Cobb and C. Harper. 2014. Wild turkey nest site survival and nest site selection in the presence of growing season prescribed fire. Journal of Wildlife Management 78(6): 1033 – 1039. Restoration in the Southern Appalachians: A Dialogue Among Scientists, Planners and Land Managers. Eds. W.T. Rankin and Nancy Herbert. U.S. Forest Service: Research and Development Southern Research Station. General Technical Report SRS-189. Some may want to tar and feather me for making such a statement. It is not entirely true, because there are a lot of landowners, non-governmental organizations, corporations and other entities who are doing “purposeful” early-succession species management. But timber harvesting is one of the few activities on our current landscape that creates between 200,000 and 250,000 acres of early-successional habitat annually in Virginia. That acreage dwarfs those purposely created specifically for wildlife. It is one of the few examples of things that occur on our landscape from which quail can still be considered a by-product. I also believe that modern cut-overs, or clear-cuts as some call them, do not produce wildlife habitat like they did 40 or 50 years ago. Many attribute this to the intense herbicide treatments required for production forestry in many cases. I agree that this is part of, but not the only reason. I also want to state what I am saying is not criticism of the forest products industry or forestry in general. Modern timber management relies on more efficient harvesting methods and equipment, and more on herbicides and less on mechanical disturbance and fire for site preparation. This has pros and cons from a wildlife standpoint. There is no argument that modern forestry makes much more efficient use of the wood harvested. Which means that there is less debris left over on cut-over sites, and mechanical windrowing and site preparation burning is a thing of the past. Those old unsightly windrows made some excellent hedgerows for quail and that mechanical soil disturbance scarified seeds and produced ragweed, partridge pea and poke weed in abundance. But it also contributed to soil erosion and reduced water quality. So gains made on those fronts offset the losses in other areas. Regardless of whether we all agree that cut-overs are better or worse for wildlife these days, that is not what I’ve set out to address. I’d rather focus on the things that landowners can choose to do to give their modern cut-overs a boost from a wildlife standpoint. First – assume it is a given that herbicides are going to be used in the reforestation of a clear-cut…at least east of the Blue Ridge. Clearcuts in the mountains may still be allowed to regenerate naturally. What can be done prior to any herbicide work, or after it, is the widening of logging roads and the expansion of logging decks to create wildlife corridors and clearings. You might even be able to work with your logger to gain some help. They often have a dozer on site and may be willing to do some of this work for you as a side job. Identify logging roads you may wish to continue to use to get around your property. Widen each edge out 30’ feet or more if you can afford the lost future timber income (it’s easy to do the math to figure out how many acres of future timber you are giving up – length times width in feet divided by 43,560 = acres). By doing this you allow sunlight in to keep your roads dry during bad weather. You also create long corridors that can be managed by periodic disking or mowing to keep them open. They can also be planted with wildlife friendly mixes depending on what species you want to help most. Logging decks can be expanded in much the same way as road edges. It’s OK to leave a few slash piles around a deck, but debris piles should not surround the deck. It’s best to spread the slash back through the timbered area evenly, leaving only a few piles to form thickets on the deck edges. Even quail do not like to be completely surrounded by slash piles. Once the deck has been cleaned off, a sub-soiler, or ripper, which is usually pulled by a dozer or very strong tractor, can be used to break up the compacted “hardpan” soil before it is disked. If this isn’t practical for you from a financial standpoint, you can also top sow a cheap cover crop like browntop millet or buck wheat. Success can be achieved even without disking. The dozer work to clean off the deck leaves nice track prints crisscrossing the ground. These track marks capture seed and, more importantly, hold water when it rains. This allows good plant germination. These plantings immediately start to help rebuild the soil. Use a cheap cover crop when planting because herbicides have not been applied yet. After herbicides have been applied, more options open up. The key to planting after herbicides is to make sure you know what was applied. Some herbicides used in forestry have quite a lengthy soil residual period. This means that they continue to control plants for 90 to 120 days or more after being applied. Make sure you work with your forester and understand what was applied and when it will be safe to plant. You might also choose to create some additional openings. Tall Timbers Research Station’s work has shown that, depending on soil quality, as much as 30% of the timbered area should be in well distributed fields 2 to 5 acres in size. The lower the soil quality, the more important the fields become. This will, of course, cost you in future timber income, but should be based on your goals and financial situation. These fields are called “brood fields” by the TTRS folks and their goal is get a high amount of ragweed on them. Many times this can be accomplished by fall disking and sowing of winter wheat, then simply leaving fallow. As with logging decks and road edges, don’t plant these fields until after all herbicides have been applied and the safe “plant back date” has been achieved. Lastly, you might also consider marking some mast-producing leave trees within the cut-over. In the mountains this can be especially important for grouse. Grouse in their southern range eat a lot of acorns. They love the cover produced by regenerating clear-cuts, and more of that cover will also provide food if some good mast-producing trees are left. The edges of the cut-overs and all streamside management zones should have plenty of oak, cherry, dogwood, etc. available. But, on larger clear-cuts there will be a dearth of food-producing trees out in the cut itself. In the mountains where follow-up herbiciding is not as common, the leave trees won’t interfere with herbicide applications. But in the east, they might. Work with your forester to plan ahead and identify areas within a clear-cut where some leave trees will not adversely affect competition control. 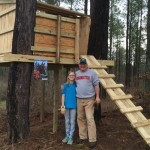 These were just a few ideas you might choose to implement after timber harvest on your land. As always your best route is to work with your local forester and wildlife biologist together to come up with a plan best for your land.